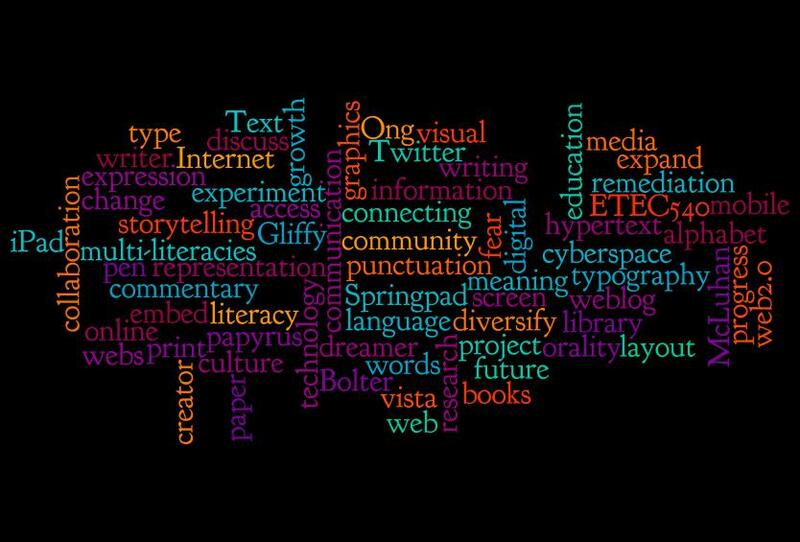 This entry was posted in Making Connections and tagged Bolter, communication, connection, education, hypertext, Ong, technology. Bookmark the permalink. I really like the wordle that you created! It is a great way to show all of the topics and connections that we have made this term! I think I also had to change my thinking to consider writing to be a technology. Once I had done this it also helped me to understand better the connections between my everyday teaching and the materials in this course. Megan, your wordle looks great! I like what you have to say about text becoming active when a reader interacts with it. I also like the inclusion of conversation as a type of text…I often focus solely on what can be seen and I forget that audio is also a form of text.